The venue was the home of the defunct Arena Football League side Toronto Phantoms. 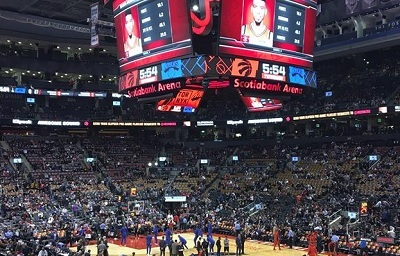 The Toronto Maple Leafs became the second tenants of the arena with 1 million followers on their main social media page, after the Toronto Raptors. In 2002, the venue hosted its first concert of Shakira Isabel Mebarak Ripoll, the first person with 100 million followers on his or her main social media page. She was born in Barranquilla in 1977. In the 1990s, Shakira became a famous artist.